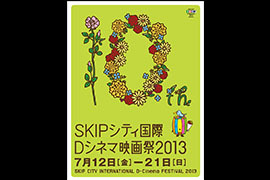 The 2013 SKIP CITY INTERNATIONAL D-Cinema FESTIVAL screened new international and local digital productions from up-and-coming filmmaker and organized many film-related events. 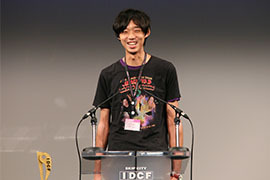 Our 10th anniversary opening ceremony commenced with a screening of "A Sparkle of Life" by the internationally acclaimed young filmmaker Bunji Sotoyama, whose film "On this Side" (2010) won five awards at the Monaco International Film Festival and whose short film "Stardust Serenade" (2007), as well as being awarded the Kawaguchi Citizen's Award, received an honorable mention at our festival. 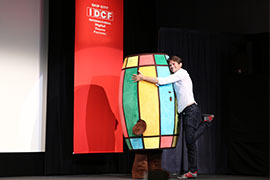 The film was produced as the fourth D-MAP initiative and was theatrically released in autumn 2013. 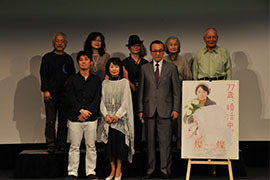 A heart-warming film depicting an elderly woman's search for love, the film premiered at our festival with an onstage introduction by the director, actor Akira Takarada and main actress Kazuko Yoshiyuki. The audience enjoyed a full-house auditorium and joined us in celebrating the opening of the festival. "7 Boxes", the rare screening of a Paraguayan film was such a success some members of the audience ended up standing to watch the film as it had brought together so many Paraguayan expats who reside in Japan. 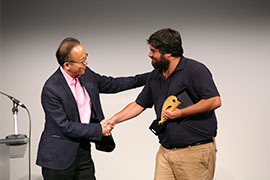 The Spanish-Russian-French-Georgian co-production "Chaika", directed by the Spanish director Miguel Ángel Jiménez, received the Grand Prize in the Feature Length Competition. Set in Russia and Kazakhstan, the film is a gritty human drama shot with a sharp and beautiful style. 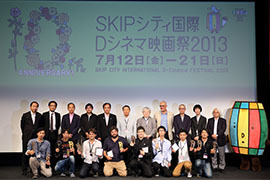 Yuichiro Sakashita's "Kanagawa University of Fine Arts, Office of Film Research" received the Special Jury Prize and was also selected for the fourth SKIP City D-Cinema Project for 2014, an initiative set up to support young filmmakers achieve theatrical releases. 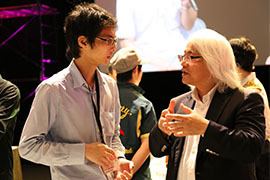 The Best Picture in the Short Length Competition went to "Transferring", whose director Junichi Kanai received a nomination four years ago in our Feature Length Competition. 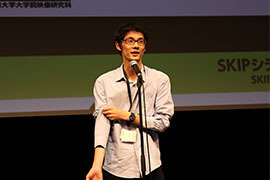 For the 'Focus on Rotterdam' section, we held the Asian or Japanese premiere for three films that had received critical and popular attention earlier in the year at the International Film Festival Rotterdam, a festival known to be a gateway for young filmmaking talent. In the 'New Films by Past Nominees' section, we screened new works by directors who have been in competition at our festival in the past and now flourish on the international stage. For 'The Best Three Shorts Voted Online by You', we asked our online visitors to choose their favorite out of the nine nominees selected from the 2010-2012 editions of our festival, of which the top three choices were awarded and shown again on the big screen. 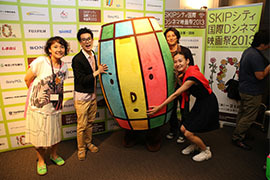 Other events we delivered included: the ever-popular Cinema Kabuki; the Livespire screening where we enjoyed the opera stage onscreen; a screening of "The Floating Castle", a historical-drama set in Saitama, with subtitles and hearing guides for the hard-of-hearing and those with low vision; and outdoor events and related screenings for children and adults alike. 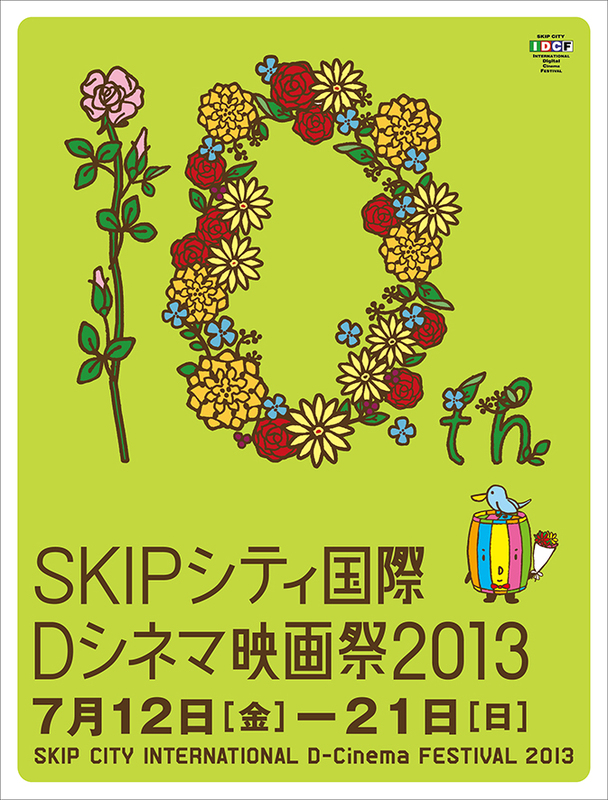 We also organized events that pursued many possibilities for the moving image. 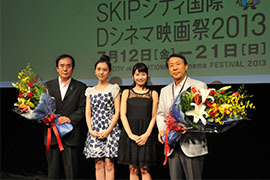 In a collaboration between SKIP City Sai-no-kuni Visual Plaza and Shochiku, the new film "Saitama Family" produced by four young talents based near SKIP City was screened with onstage greetings. With our screening of two new shorts by Kobaton the Movie and our educational program to support children's film production, "Camera Crayon", our 2013 edition celebrated a wide range exceeding our achievements of previous years and concluded with great success and anticipation for the 2014 edition. *Please note the above text has been appropriated from what had been written at the time.